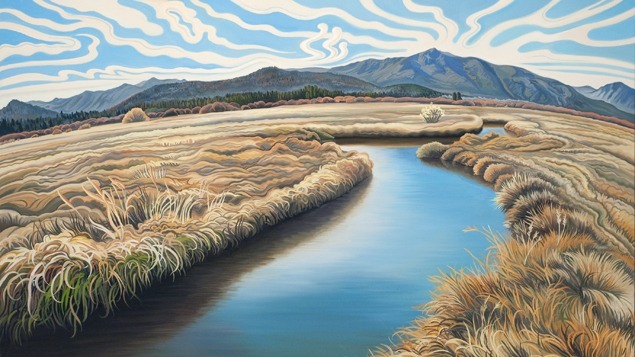 This feature exhibition celebrates the iconic landscape paintings of Phyllis Shafer, while also carefully examining her early artistic influences shaped by her time spent in New York and the San Francisco Bay Area. The title of the exhibition, “I only went out for a walk…” is inspired by a phrase written by nineteenth century naturalist and conservationist John Muir, and links to Shafer’s work as a plein air painter who frequently finds inspiration in the Sierra Nevada. The largest presentation of her work to date, the exhibition will include nearly 100 paintings, gouaches, and drawings dating from the 1980s to present. In addition, visitors will encounter displays Shafer’s working tools such as brushes, paints, sketchbooks, notebooks and unfinished drawings. A fully-illustrated book documenting Shafer’s work from the 1980s to the present accompanies the exhibition. Interview by Ann M. Wolfe, Senior Curator | Deputy Director, 112 pages, hard cover, $40 per copy. Copies available for purchase in the Museum Store or call 775.398.7206.